Online ordering menu for Atomic Wings. 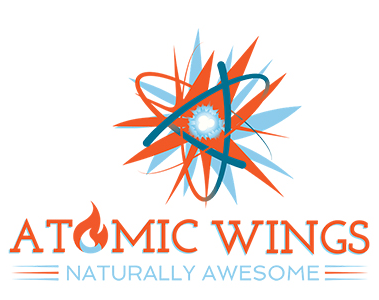 Welcome to Atomic Wings! We specialize in creating the best flavorful experience your taste buds have tasted. We serve a variety of Specialty and Customizable Pizzas as well. We also specialize in Atomic Buffalo and Boneless wings that are known on the east coast for their taste! Our menu has Italian classics entrees and Calzones, Gyros and Heroes as well. We are located across the street from the BioDiagnostic Labs and are just 2 blocks west of the Bill Brown Playground. Order online today for take out or delivery!